Spain took a giant step towards qualifying for next year’s World Cup as Isco’s double and Alvaro Morata’s late strike swept aside Italy 3-0 at the Santiago Bernabeu on Saturday. Isco was the star performer in a brilliant team display from the hosts as his early free-kick and long-range effort before half-time put Spain in control before Morata came off the bench to rub salt in Italian wounds. Italy’s first defeat in a qualifier since 2006 means Spain now lead Group G of European qualifying by three points with just three games remaining and can also count on a far superior goal difference. The Azzurri are now likely to face a tricky two-legged playoff in November to book their place in Russia. Spain boss Julen Lopetegui opted to start without a recognised striker as Real Madrid’s Marco Asensio made his first competitive international start as one of six midfielders. Asensio has made a habit of scoring on his debuts for Real and was heavily involved in the opener, although it was his club teammate Isco who provided the killer touch on 14 minutes. Leonardo Bonucci was lucky only to see a yellow card for chopping down Asensio on the edge of the area. Isco scooped the resulting free-kick over the Italian wall and beyond legendary keeper Gianluigi Buffon, who was slow to react. In stark contrast to when Italy dumped Spain out of Euro 2016 little over a year ago with a comprehensive 2-0 last-16 win, the visitors were thoroughly outplayed in the first 45 minutes. However, the Azzurri had one glaring opportunity when Andrea Belotti’s powerful header produced an excellent reaction save from David de Gea. Spain’s passing and pressing in the first period was reminiscent of the glory period in which La Roja won three consecutive major tournaments between 2008 and 2012. And a flowing team move got the finish it deserved five minutes before half-time when Isco cut inside onto his weaker left foot, but still dispatched an unstoppable effort from outside the box low past the helpless Buffon. 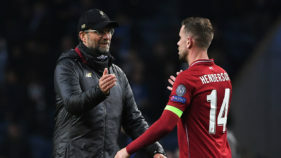 Spain were happy to sit on their lead after the break and needed De Gea to bail them out once more when Lorenzo Insigne’s drive from the edge of the area lacked the accuracy to beat the Manchester United stopper. 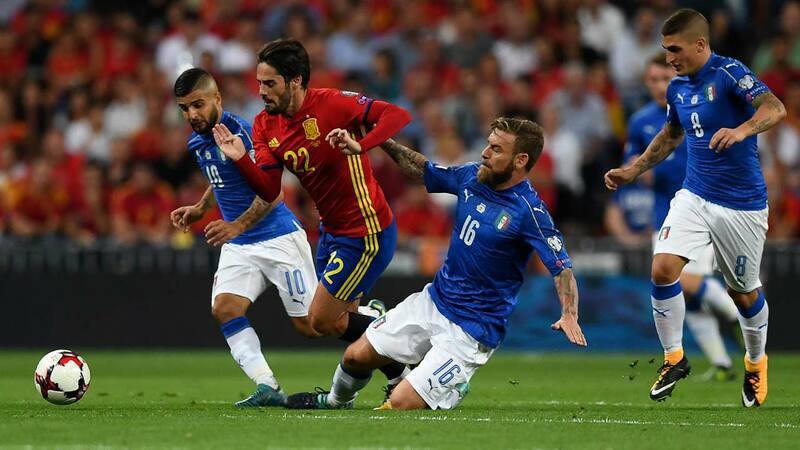 More Isco magic nearly created a third for Spain as he left Verratti trailing in his wake before playing in Dani Carvajal, but Buffon made amends for his previous error by clawing the right-back’s attempted chip to safety. Spain’s third arrived 13 minutes from time as Sergio Ramos careered forward from defence to lead a counter-attack and his inch-perfect low cross left Morata with the simplest of tasks to fire into the roof of the net. A packed Bernabeu was then given more to cheer in the final seconds as Spain’s all-time leading scorer David Villa’s three-year exile from international football came to an end when the New York City striker replaced Isco to a standing ovation.